The Albert H. Morehead Memorial Library is the largest bridge library in the world, containing more than 2,500 different volumes. 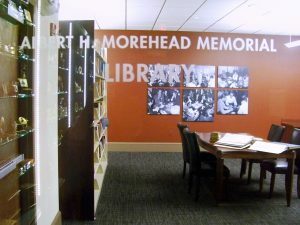 The library was dedicated by ACBL in memory of Albert Morehead, ACBL Hall of Fame member and bridge bibliophile. His collection of books provided the ACBL a solid foundation on which to build. Since the library’s dedication, ACBL has also acquired the personal libraries of Edgar Kaplan, Alfred Sheinwold, and Alan Truscott. In addition to books, the Morehead Library also houses many periodicals. Among these are complete collections of The Bulletin, The Bridge World, Bridge Magazine (UK), Australian Bridge, and New Zealand Bridge. There are many other treasures to discover. You can find a rare complete set of World Championship Books, bridge laws that date as far back as 1901, and a copy of Edmond Hoyle’s A Short Treatise on the Game of Whist published in 1746. Although the Morehead Library boasts an impressive collection, it is by no means complete. If you have bridge or whist books that you would like to donate, please contact Tracey Yarbro by email or by phone 662-253-3106.